We are one of the most leading varsity jacket manufactures inIndiaexporting jackets for top brand all over the world. 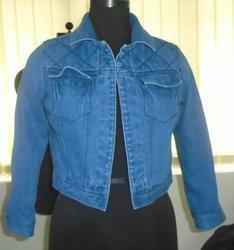 We offer variety of jackets that can be custom designed in accordance to their size, color, lining etc. The offered jackets are availble with us in variety of colors combinations & at very competitive & market leading prices. Prominent & leading supplier and manufacturer from greater noida, we offer orange & dark blue trendy varsity jackets. Patches are designed as per requirement of the buyer. We offer varsity in variety of colors at competitive prices in the market. Front Closer with Snap Button. We are offering an exclusive range of Lightweight Jackets that is designed with eye catching patterns and designs. 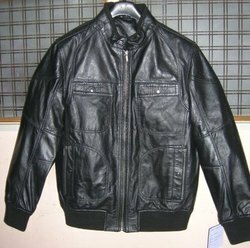 Offered jackets are highly appreciated among our clients, owing to their fashionable look and seamless finish. These jackets are designed and stitched by utilizing exceptional quality fabric and pioneering techniques, in compliance with the on-going fashion trends. Further, offered jackets embrace the look of the wearer when teamed up with track pants, shorts, jeans etc. As per the diverse needs of clients, we are offering these Lightweight Jackets in various colors, sizes. We are one of the leading varsity jackets manufacturer offering a smart range of jackets, hoodies & sweatshirts. These are available in a wide array of color combinations and designs as per needr. Our varsity jackets are very comfortable and make a fashion statement at the same time. The varsity jackets, we manufacture makes you look different from the others as it is highly fashionable and stylish.